If you are a UK tax payer and eligible to GiftAid your donation. Please download and complete this form and return it along with your donation. 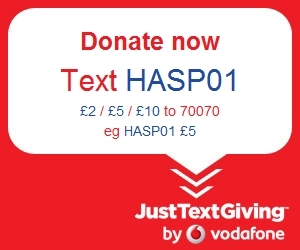 Text HASP01 £5 to 70070.